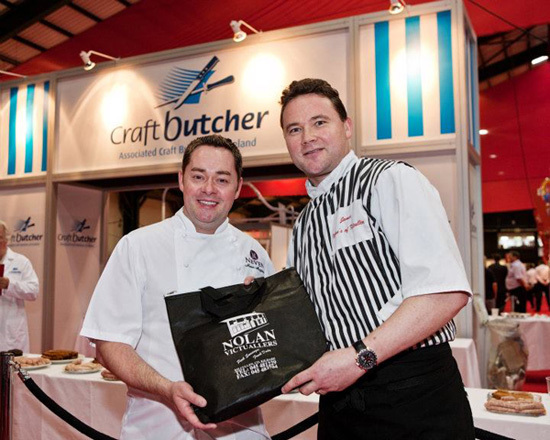 NOLANS OF KILCULLEN WON 8 GOLD MEDALS from 8 products entered in the Associated Craft Butchers of Ireland Leinster GREAT TASTE AWARDS at the end of August in Portlaoise. This is the 3rd consecutive year that every product entered has won a GOLD MEDAL which is a phenomenal achievement. It's a great compliment to ANDY & JAMES NOLAN for their recipes & to FRED MITCHELL for all the long hours & hard work that goes into making the well known Sausages & Puddings that NOLAN'S are famous for. All the latest news from Nolans.